Does Your Air Conditioning System Need A Tune Up? When it comes to most homeowners and their home's air conditioning system, they aren't going to make the call to a professional air conditioning company until something has already gone wrong with their system, but by that point, the damage has been done, and you could be in for an expensive repair bill. 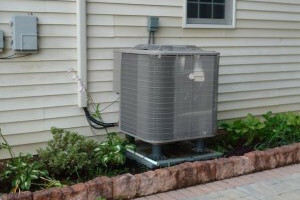 One of the best things you can do for your home's AC is to make that call a bit sooner and let our team of State College AC professionals provide you with a quality air conditioning tune up to eliminate expensive repair issues before they become a problem, and help keep your system running efficiently. When was the last time you had a professional air conditioning tune up for your system? If you can't remember, or you have never had one performed, pick up the phone and make the call to the pros here at The Best HVAC, your local Bellefonte HVAC company, and let us provide you with the quality service you need to keep your system healthy and running at peak performance year after year. Here at The Best HVAC, our team of fully licensed, trained, and experienced AC specialists can provide you with the thorough air conditioning tune ups you need to keep your system operating at its best. Air conditioning tune ups are essential for helping to prevent the need for expensive repairs by catching most issues while they are still fairly small, and helping to prevent conditions from forming in your system that might lead to further troubles. If you have any questions about our full line of high quality air conditioning tune up services, or if you would like to schedule an appointment for consultation, give us a call today. Our team of experts are always standing by and would be more than happy to assist you in any way we can. Lowering Your Energy Costs - With regular tune ups, you can effectively lower the amount of money you spend on your monthly cooling costs by keeping your system more efficient. Extend The Lifespan Of Your System - Regular tune ups can help to reduce the amount of wear and tear your system sustains over the course of the average year, helping to extend its overall lifespan. Prevent Future Breakdowns - By eliminating most problems before they have a chance to become a serious threat to your system, you can help to prevent the need for serious repairs down the line, and even prevent total system breakdowns. Improve Comfort In Your Home - When your system is properly tuned up and ready to go, it will help to increase your system's overall performance, letting your system more effectively and efficiently cool your home to the level that you and your family desire.